NZ Summerhill and NZ Black Magic Alpacas are proud to provide our clients with the hassle free use of our private quarantine, which is located on our property. Summerhill Quarantine Facility is only able to be used by clients who purchase from us directly, to ensure the animals are provided a first class and minimal stress environment. 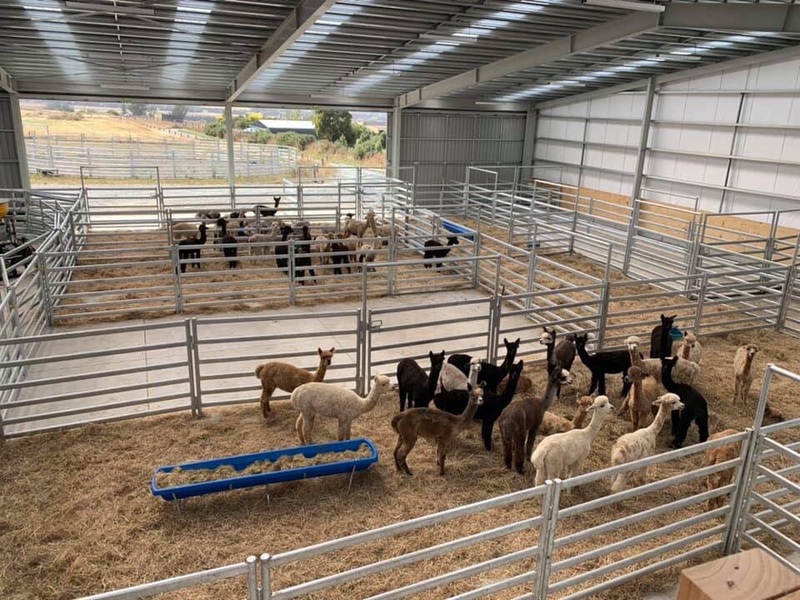 Our facility is indoor / outdoor, with excellent ventilation, feed quality, space and cleanliness, to ensure your alpacas arrive calm and stress free. All alpacas purchased from either NZ Summerhill or NZ Black Magic Alpacas, receive FREE quarantine on our farm in this first class facility. The purchaser only pays for the Vet, MPI required testing and any country of import tests (if required).